It has been over a year since my braces were taken off, and I am still getting compliments on my teeth, EVERYDAY! I was likely one of his older clients, and my only regret is that I did not follow through with braces years ago! I have had 5 friends start braces since mine came off, and all have no regrets. Dr. Mulgrew and his staff are exceptional in all aspects! The best crew to help you through the journey of braces! You couldn't ask for a more skilled, professional and friendly team!! My experience with Dr. Smith was nothing less than amazing. She is a caring, gentle orthodontist who takes time to explain everything ensuring my family and myself were comfortable with the procedures I had. Dr. Smith is uplifting, humorous, kind and patient. Dr. Mulgrew is a very professional, knowledgeable, honest and understanding doctor. His team provides exceptional service and are very accommodating. A big thanks to you Dr. Mulgrew and your amazing staff. 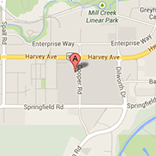 I would highly recommend this Okanagan Orthodontics to anyone! As a parent I have to say I love Dr Angie Smith. I have two daughters who both need braces, which can be a scary thing for a parent. The staff work with you to come up with a plan that works for your life. Both my girls love going to their appointments they feel relaxed and comfortable there. 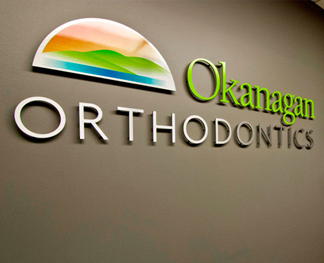 I highly recommend Okanagan Orthodontics!! !